Topics: Documents, Petition For Degrees, Petition For Restoration Or Affliation, Abbott Scholarship Application, and Magazine. Age: It went live on July 29th 1997, making it over 20 years, 8 months old. The estimated 23 daily visitors, each view 1.50 pages on average. Pair Networks (Pennsylvania, Pittsburgh) is the location of the Apache/2 server. 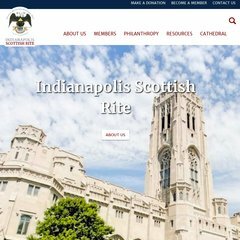 Aasr-indy.org's server IP number is 216.92.81.204. Its 5 DNS Records include, dns3.name-services.com, dns5.name-services.com, and dns1.name-services.com. PING www. (216.92.81.204) 56(84) bytes of data.